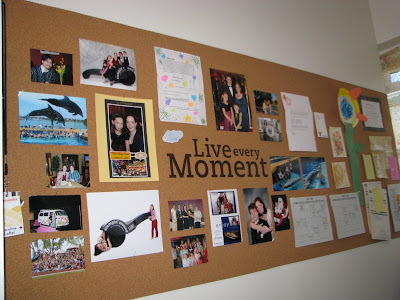 Here's a shot of part of the cork board I have in my office. I realize it's a bit of a wonky shot, but the office itself is very long and narrow, so I found myself half-crawling into a bookcase to even get this much of it in frame! I call this my "happy wall"... 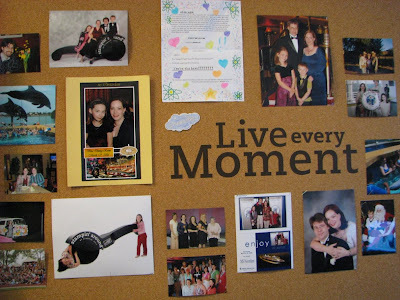 I pin up photos of my family, of SU events & friends, things the kids make me - that kind of thing! I wasn't sure how well the vinyl Décor Elements would do on the cork, but I'd have to say it did just fine (and looks much nicer in person). Celebrate Canada Day with FREE SHIPPING! It's history lesson time, children! Canada is having another birthday on July 1, marking the anniversary of Canadian Confederation in 1867 and the birth of Canada as a nation. Please note, if you are planning on ordering either the "Fresh Cuts" or "e-Scape" bundles or any last minute items from the Occasions Mini Catalogue, the last day for those is Monday June 30th, so you'll need to be lickety split. Simply call or email me with your order details and I'll take care of it for you. Did you know that this year is particularly exciting, since we are also celebrating the 400th anniversary of Québec City? This is a historic event for us, and I'm truly proud to be able to say I AM CANADIAN!!! 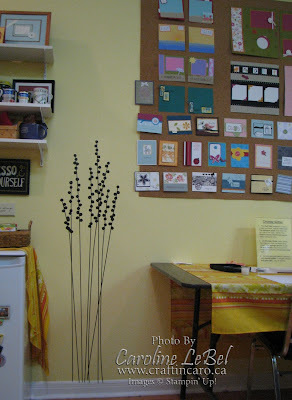 Happiness is being in my warm & inviting stamping studio!! The fun didn't stop after yesterday's post! During my Garden Whimsy class last night, I kept on playing with my new Décor Elements. 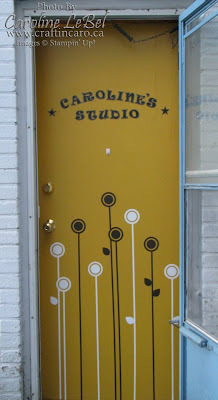 I had already decided to use both the white & chocolate large Lollipop Flowers on my studio door, to add some stylin' to the entrance. Whoooooweeeee! It maybe took me 15 minutes in all, but that's only because I cut out and alternated my flowers to mix the colours up a bit. Again, it was ridiculously easy to just peel'n'stick these puppies in place... so you KNOW I didn't stop THERE! No, no, no. Jann may have been secretly laughing at me on the inside but I just kept on going, cackling all the while as I "oooh"d and "ahhh"d everywhere. That's the squeal of glee I let out today when my lovely Man In Brown arrived with my newest play toys: the cool Décor Elements line that Stampin' Up! is introducing beginning July 1. You know I just HAD to rip the boxes open to see what fun awaited me, and then the hard decisions needed to be made. WHICH ONE TO START WITH?? 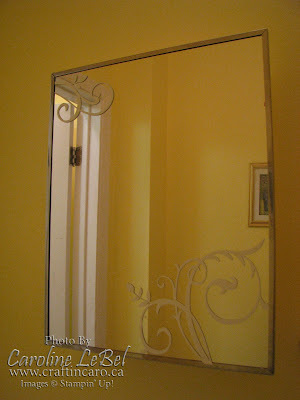 Because I love the "Baroque Motifs" set so much, I chose the small white Flourishes to begin with, and decided to try them on the studio's powder room mirror. They came all rolled up and nicely protected in a cardboard tube, so I unrolled everything (came with an instruction sheet, too). I must say it was ridiculously easy! 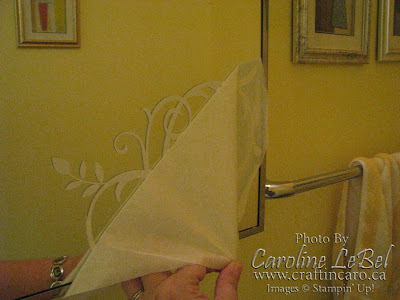 I cut out the piece I wanted to start with, pulled off the blue backing sheet and lay it across the mirror in position. 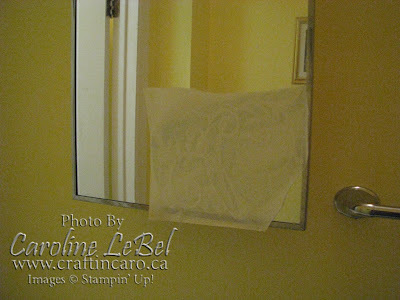 I used the applicator to rub over the transfer sheet that covers the vinyl pieces, and then just carefully peeled it off. 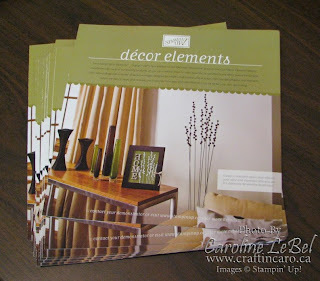 I have now received all my Décor Elements brochures, and will begin sending them out to those who have requested them - just email if you would like one (sorry, Canada only). If you're in Toronto, you can pop by my studio and pick one up and SEE them in person on Monday JUNE 30th at my Décor Elements Open House event. Hmmmm. What ever SHALL I go and decorate next? Stay tuned to find out! It's been a super busy week, culminating in today ... 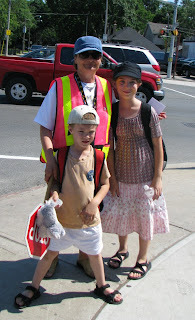 THE LAST DAY OF SCHOOL IN TORONTO! Yes, my kidlets are super excited about summer holidays finally being upon them and all their great plans for camp, playdates and warm weather fun. All the cards for friends & teachers were finished and handed out today (with much blushing pride) so we can close the school year out for good. Yippeee! Here are 4 of the 5 cards we will be making on Thursday's "Garden Whimsy" cards classes (both 1pm and 7pm time slots available). 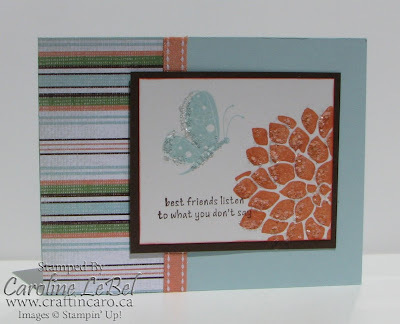 We're using Stampin' Up! 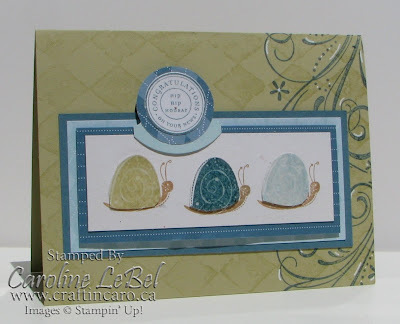 's Garden Whimsy stamp set as the basis of our projects, because it's such a fun & versatile set to use. Please RSVP your attendance if you'd like to join us! ...for the wonderful Occasions Mini Catalogue...and the glorious new sneak peek set "Fresh Cuts" with matching note cards. 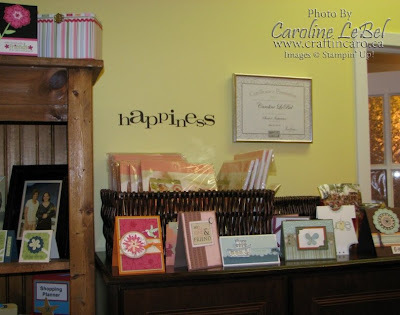 We were lucky that Stampin' Up! kindly extended the mini for one extra month through to the end of June, because that meant one more month of me gobbling up the Summer Picnic Designer paper & Die-Cut Blossoms like it was going out of style! 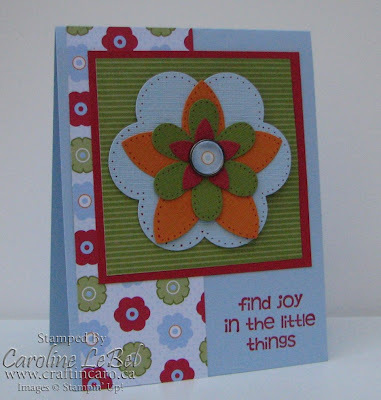 Here's a card we'll be making at the Die-Cut Blooms class that uses both the blooms AND the Summer Picnic paper - fun, eh? The sentiment is from the retiring set Polka Dots & Paisley, a free set they sent us at Christmas-time a few years ago ('cuz they LOOOOOOV us!!!). We've also been having fun with the new die-cut "Fresh Cuts" set, both with and without the matching laser-cut notecards. If you can't stand the idea of having to wait until mid-August to order it, you don't have to! Just call or email me before the end of the month to place your order. If you're in Toronto, don't forget that you'll get to come to the free Fresh Cuts class on Saturday July 5th too - just bring your set and note cards! Pre-order our new product line: "Décor Elements"
I am so very excited to share with you today the news of a brand new product line from Stampin' Up! 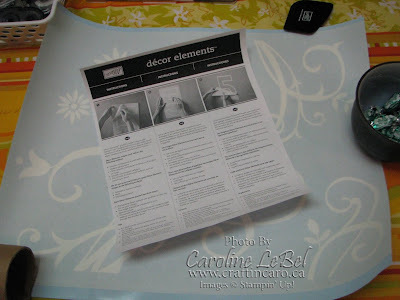 called "Décor Elements", coming to you July 1. This line consists of beautiful, high-quality vinyl images that can be used to decorate your home and workspaces - you can use it on your walls, furniture, tiles, glassware, as framed art and more! The exclusive artwork will include phrases and design elements , some of which will have coordinating stamp sets. There is even an upper- and lower-case alphabet for you to customize words and phrases! I can already imagine the personalization in my children's rooms right now, something poor Serena will be thrilled about since it's so hard to fins anything with her name on it. 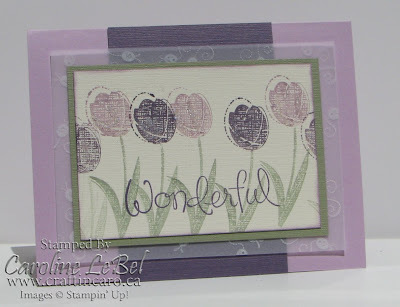 As a demonstrator I was able to pre-order a variety of these fabulous items and I can't wait to add them to my stamping studio and home...and of course, share the results with you here. And the best part as far as I'm concerned? They're super easy to put up and just as easy to remove if I want a change! These images will come in white & chocolate, plus a kraft colour for some of the floral images. WANT TO SEE THIS NEW BROCHURE? If you live in Canada, please contact me for your own copy! I'll be offering a special 15% off PRE-ORDER on this new product line from now through July 1 when it will begin shipping (sorry, Canadians only). 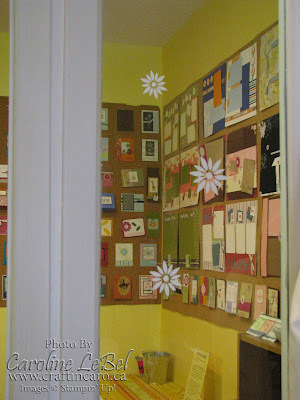 This week's class is about those "Thinking of You" style cards we need to make occasionally: the sympathy cards, the "get well soon" and "good luck" kind of cards. I know one thing's for sure, the last thing I feel like doing is stamping when I've heard some bad news in the family or with my friends. That's why I always try to keep a couple of these kind of cards hanging around for the perfect occasion. 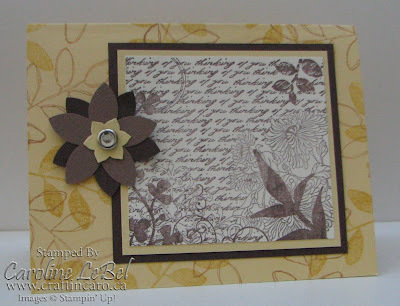 For this particular card I chose to stamp the flowers from Stampin' Up! 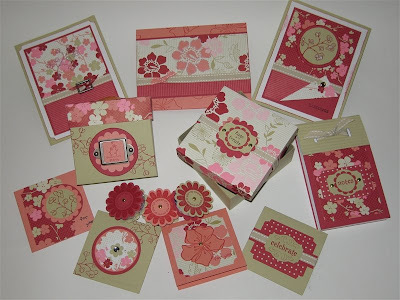 's "Embrace Life" on our Shimmery White cardstock and lightly sponged the Pretty In Pink centres on them before cutting each blossom out and embellishing with a half-pearl from the "Pretties" kit. Wednesday's class will comprise of 5 different cards (see details here), and I have space at either the 1pm or 7pm slots.. please RSVP if you would like to attend. I'd love to see you! 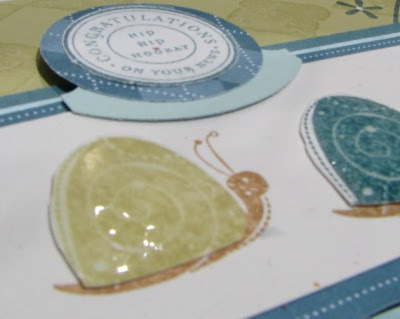 Spring 2008 Retiring List from Stampin' Up! After years of dedicated service, the following list of stamp sets from the Spring-Summer Collection 2008 are retiring. So, let's give them a big sendoff and wish them all the best as they begin a new chapter in their lives. But don't wait too long--they're only available through August 10, 2008, and then they're headed to warmer climes! I have listed the stamp sets by catalogue page number, so that it's easy for you to flip through your books and decide what stamp sets you NEED before they're gone forever! PS, I've italicized the French ones pour mes clientes francophones. 40 Eat Cake/Du Gâteau ! The new Fall/Winter Dormant List contains stamp sets that, while they have not been retired, will not listed in the next Idea Book & Catalogue but still WILL BE available for purchase. I managed to grab a last minute shot of my kids modelling the t-shirts they stamped this afternoon at the kid's stamp camp...ooops, I completely forgot to get one of Toby & Gillian as they were rushing out to see "Kung Fu Panda"! Don't forget to check back here on Sunday for the retiring list and to take advantange of my awesome Tax Freedom special! Celebrate our Tax Freedom Day and buy stamps tax-free!!!! 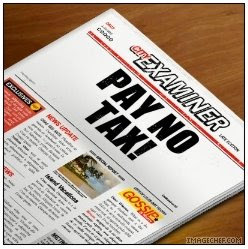 According to the Fraser Institute, tomorrow is Tax freedom day – the day average Canadians have paid off the year's tax load and begin working for themselves (read Toronto Star article here). So to celebrate, I am exclusively offering my wonderful blog readers a 3 day only NO TAXES SALE on all Stampin' Up! orders placed through me. From Saturday morning through to midnight Monday night, I will pay both the GST and PST on all new orders to help lighten your tax burden just a little bit more. Just call me at 416-694-4074 (toll-free 1-866-694-4074) or send me an email to place your order. 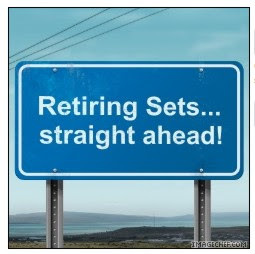 The retiring list of stamp sets will be posted on Sunday June 15th so it will be the perfect time to grab them while you can! * Please note, this offer is valid through me only until Monday June 16, 2008 and cannot be combined with any other discount coupons. You are welcome to use it on the current June specials, such as either the e-Scape or Fresh Cuts bundles! FYI, the deer card was inspired from Kathleen Novak and the birthday clams from Penny Ginnery. While you can't see it very well in the photo, I added microbeads with Crystal Effects to create a "sand" effect under the clams -- gave a really neat texture! 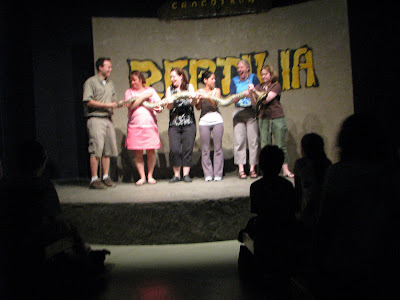 Now, if you are squeamish about seeing snakes, I advise you to look away NOW -- I'm including at the end of this post a photo of me up on the stage yesterday holding a boa constrictor (I'm in the black & white shirt). The field trip with Morgan's class to Reptilia was actually a lot of fun and I managed to put aside my fears to be a "cool mom" and volunteer to help hold her. Morgan also got to go up on stage... check out the little clip of him when he got to hold one himself. His little clap at the end when he jumped off the stage cracked me up, kind of like saying "yeah --- alright!". Apparantly I've been volunteered for yet another field trip tomorrow, so I'll be at the Ontario Science Centre on Thursday but back here for you on Friday! 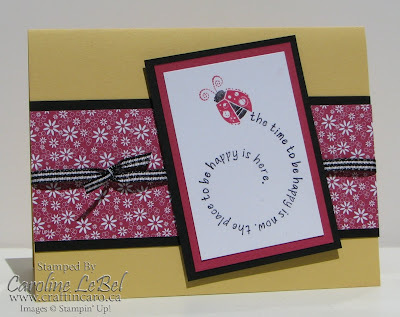 I recently got the idea for this card from one made by Vickie Daniel, after seeing the "kerchief in the pocket" concept. It looked like fun, so I had to try it out! We'll be making this on Wednesday at the Masculine card class, as well as 4 more cards geared to giving to the guys in our lives. No glitter, no flowers, no frou-frou...gee, doesn't sound like a card I'd make, does it?? LOL! Have a great day everyone --- I'm off to volunteer at my son's Grade One field trip to Reptilia this morning. Oh joy!! A special shout out to Marika! I just wanted to share my happiness this morning, as I received an email from my friend and downline Marika Lemay that she had just earned the Stampin' Up! incentive trip to Hawaii. Yipppeeee! 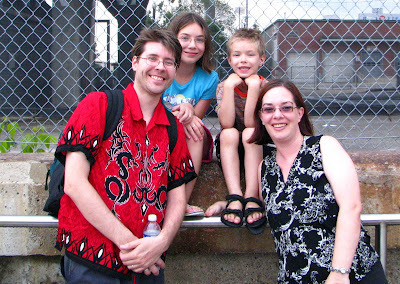 Marika is such an inspiration to me: not only does she homeschool her 3 boys, she also has a thriving business while struggling with health issues. Her enthusiasm and genuine "joie-de-vivre" are always wonderful to see, and I couldn't be happier for her! 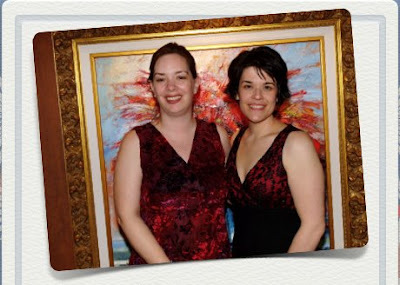 Selfishly, this means that I'll get to see her again -- she lives in Quebec so that's a very rare thing. Next March she and her lovely husband Dominic will be joining Brent and I and many other stamping couples in fabulous Hawaii, for SU's first ever land-based incentive trip... at the Hilton Waikoloa resort.